I have sensitive skin, plus allergies. Add to that, that many of my family and friends seem to have allergic reactions to perfume, I find that I rarely wear my favorite perfumes any more. 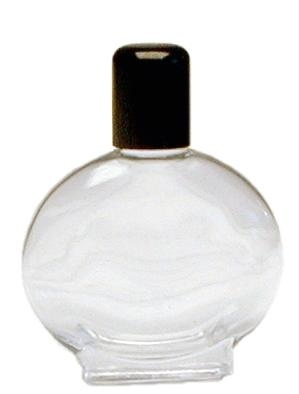 So I’ve been looking for glass bottles wholesale because I want to make my own fragrance body oils. This way, I know what’s in it, and I can make it lightly scented. That way everyone will be happy. But I need glass bottles to contain my body oils in. I think my DIY oils will make great gifts, too. I know a lot of my family and friends would appreciate a pretty scent in a beautiful glass bottle. Knowing you’re putting natural products on your body without harmful chemicals is comforting. Making your own body oils is economical. This is the reason I’m looking for good prices on my glass bottles. And using glass bottles and/or containers (for more than just body oils and perfumes) is definitely eco-friendly. I am thrilled with the large selection of glass bottles at sunburstbottle.com and even got more ideas of things to make to store in the glass bottles after looking at their choices. Now to narrow down my oil fragrance choices. Have you ever made your own DIY fragrance body oils or perfumes before? I like the idea of making scents that I can customize to what I love! I have a sensitive nose, I’ve never made my own perfume, but it sounds like fun. Thank you, Lauren! I’m definitely doing research because I do have sensitive skin.